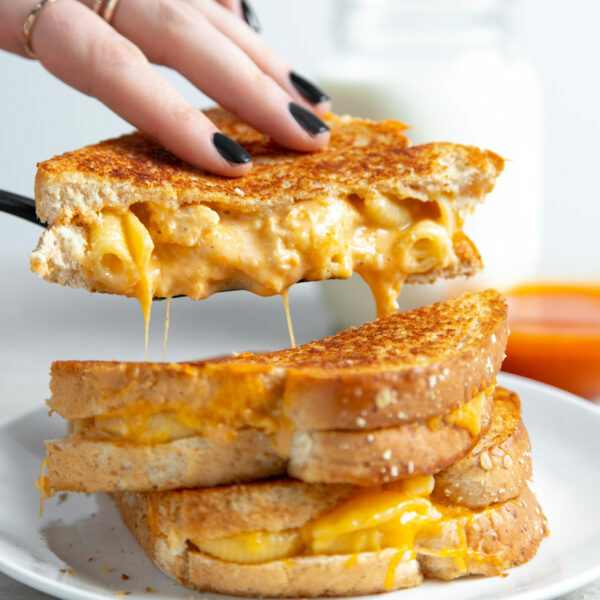 What happens when two American classics – grilled cheese and buffalo chicken mac & cheese get together? The ultimate, mouthwatering meal – Buffalo Style Chicken Mac & Cheese Grilled Cheese. 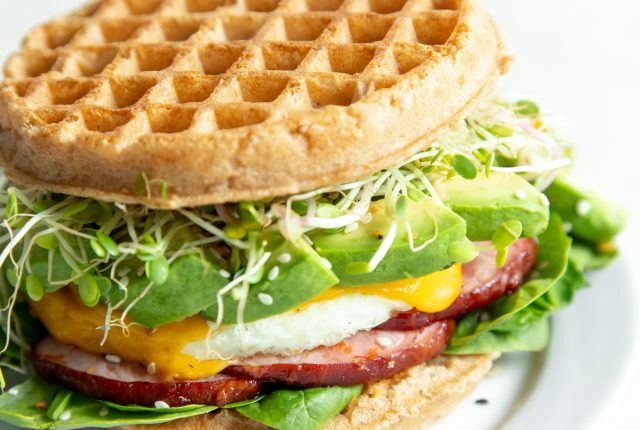 It’s comfort food at it’s finest. What happens when two American classics - grilled cheese and buffalo chicken mad & cheese get together? 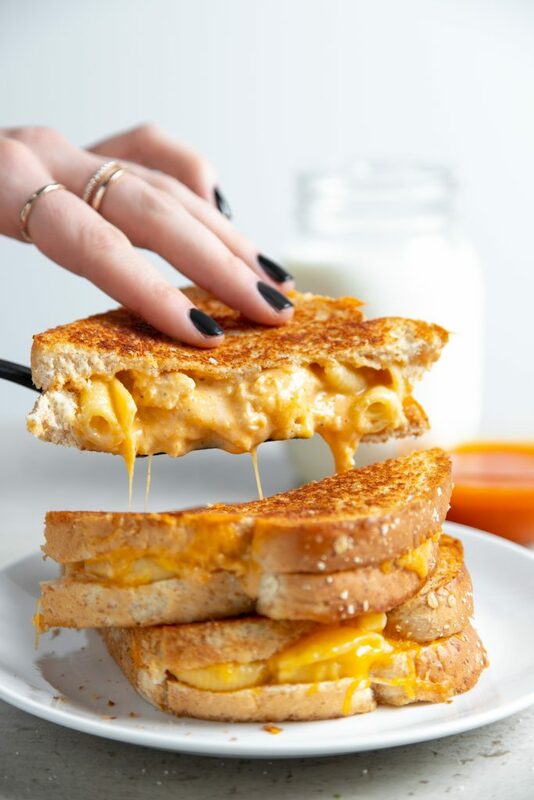 The ultimate, mouthwatering meal - Buffalo Style Chicken Mac & Cheese Grilled Cheese. 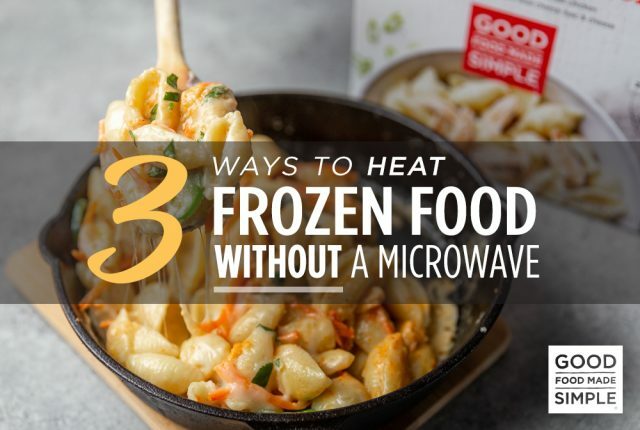 Cook the Buffalo Style Chicken Mac & Cheese according to package directions. When your mac & cheese is done cooking, heat a non-stick skillet over medium heat. Spread 1 tsp of butter on each of 2 slices of bread and place butter side down into the pan. Evenly divide the mac and cheese on top of each of the two slices of bread in the pan. Top the mac and cheese with 1 slice each of cheese. Spread 1 tsp on each of the remaining slices of bread. Place the unbuttered side of the bread on top of the cheese topped mac & cheese. Cook for 3-4 minutes on the first side, or until golden. GENTLY flip (you don't want the middle to fall out) and cook an additional 2-3 minutes or until cheese is melted.